LinkedIn has become a vital part of doing business these days. I find myself spending more and more time on the site. If you are like me, and you do not like change, then the recent roll out of a new user interface from LinkedIn probably has you scratching your head. The facelift combines elements from Facebook and Google+ and has debuted following the loss of the Twitter feed from its site. Now, the homepage includes a less cluttered design with quick links at the top and a revamped view that gives the latest updates without having to refresh the page. 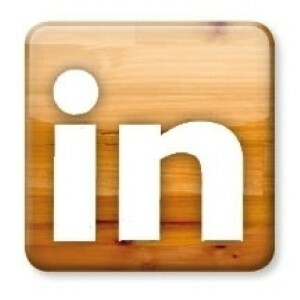 LinkedIn has also added social gestures such as “like,” “comment” and “share”. The site is attempting to become more of a daily social networking destination, especially now that Facebook plans to create its own social job recruitment product. The new design arrives just after some recent controversy. LinkedIn has had numerous security issues. This is just the beginning for LinkedIn as they are working hard at offering more customization and functionality later this year. Change is hard, but as the battle continues among the social media giants, we can expect to see more of it soon. The recent news that a global DNSChanger malware virus was about to knock out my internet connection, got me thinking of how I try to protect myself from such things. First of all, I make sure that I back up all my important data i.e. pictures, music and any financial data. I have two options here, I can use my external hard drive or I can back up my files in the cloud. Once I have backed everything up, I make sure that I schedule periodic backups moving forward. 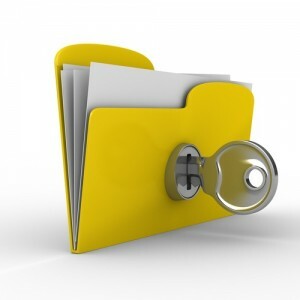 When it comes to anti-virus software, I have many options, and most of them are free. I use a combination of free applications such as Microsoft Security Essentials, SpyBot, CleanUp, and Advanced SystemCare. I always use more than one and I keep them up to date. I also run them on a weekly schedule, usually on the weekend. So remember to identify all important files on your computer and back them up. Then update and run your favorite anti-virus applications on a regular basis. I was recently re-introduced to a cool piece of technology called Xobni. Xobni (the word inbox spelled backwards) is a plug in for Outlook and it helps you organize your inbox and contacts in a unique way. Xobni finds all the people you know through your emails, SMS messages and phone calls, and automatically creates a rich profile for them. Profiles include a photo, job title, company details, email history as well as updates from your contacts on LinkedIn, Facebook, and Twitter. Xobni is available in a free version, and a paid version. I use the free version. You can download the free version and install it in under five minutes. Xobni displays a sidebar that slides in an out from the right and over the reading pane. Unlike many other Outlook add-ons, both free and upgraded versions of Xobni add functionality without greatly dragging down Outlook's performance. The interface doesn't get in the way, and, in fact, makes communication easier. I recommend Xobni for any Outlook user.